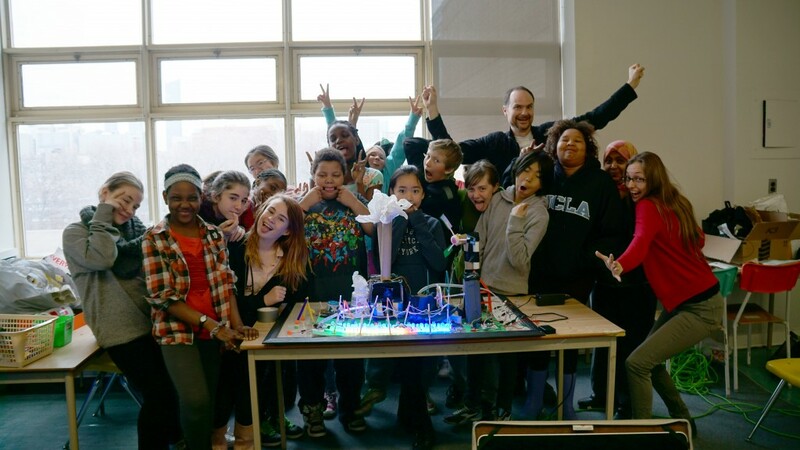 STEAMLabs developed the Robotic Power System activity guide to help teachers bring high tech 3D printing, electronics, Arduino robotics coding and web HTML coding into their classrooms. This activity also covers portions of the Ontario grade 6 science, art and math curriculum. The activity guide shows how to use these technologies to build a model of Ontario’s power system. It uses live power production data to light up an LED display of 3D printed buildings to show our current power production mix. A web interface teaches visitors more, and lets them choose which day’s power to display, and activate the motors on the power stations. Listen to an interview with Abby Pierce, a teacher who ran the activity in her grade 6 classroom in Toronto. This material was developed with funding from the Canadian Internet Registration Authority’s (CIRA) Community Investment Program. Many teachers feel that they need an extensive programming background to teach programming to kids. There is very little freely available, compelling kids programming curriculum that shows them how to teach this topic. That is why a main target audience of this teaching kit is non-expert teachers. Anyone should will be able to use this teaching kit along with inexpensive hardware to teach kids to make amazing Internet of Things projects! 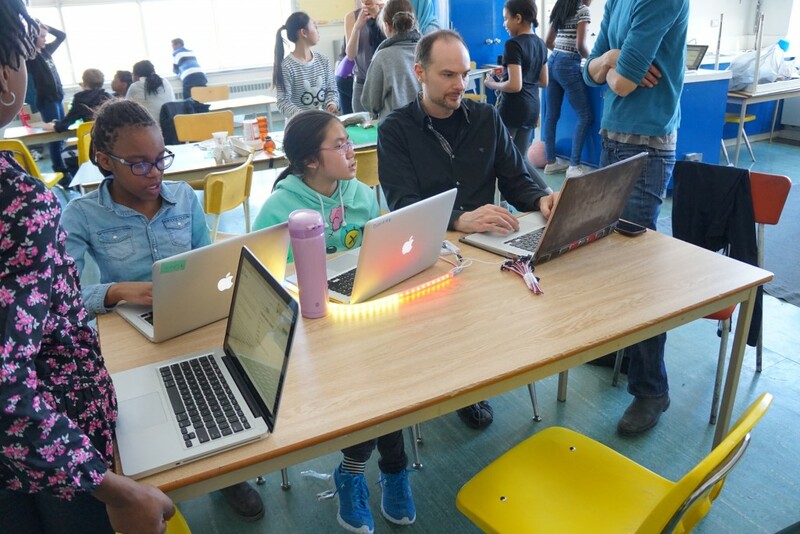 Even if you already know how to code, teaching programming to others can be daunting. When teaching robotics to kids, we find that one of the biggest challenges is to keep their interest long enough to do something awesome. The electronics, code, and mechanisms necessary to accomplish their ideas can be complex, with a lot needing to be completed before they can see anything working. So another important target audience for this teaching kit is non-teachers. The structure of the kit will enable anyone to teach this topic to others or themselves! This kit will allow people to get up to speed on the electronics and mechanisms quickly by working on easy to follow examples. 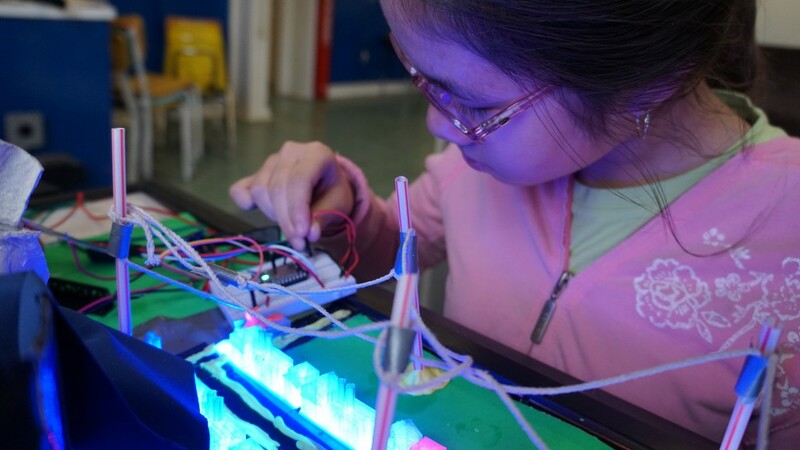 These start very simple, and incorporate many different kinds of sensors and outputs to give students a broad understanding of what is possible. To teach people the coding skills they need, this kit takes two approaches. The first is that we have developed code libraries to allow very easy ways to access complex communication between the robot, web browsers and other actions on the Internet.